A shared 'pickle epiphany' brought Justin Park and Tyler DuBois together: what started as a side hobby morphed into a canning operation that utilized tried-and-true preserving techniques and fostered creativity for a growing roster of imaginative flavors. Now, The Real Dill puts out all-natural, artisan pickles while staying true to their original vision of engaging work and enhanced quality of life. 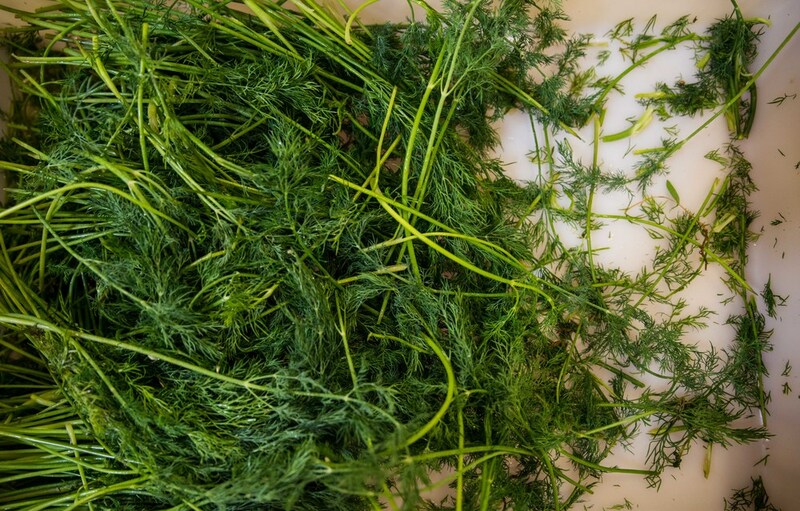 What does THE REAL DILL mean to you? Justin Park: This has been a pursuit of passion—we didn't do it because we thought we were going to strike millions in the pickle business. We're doing this because we want a good quality of life for ourselves and our families and it's something we enjoy doing. It allows us to be creative and work with other creative people—it's awesome having something that feels worthwhile and fun. 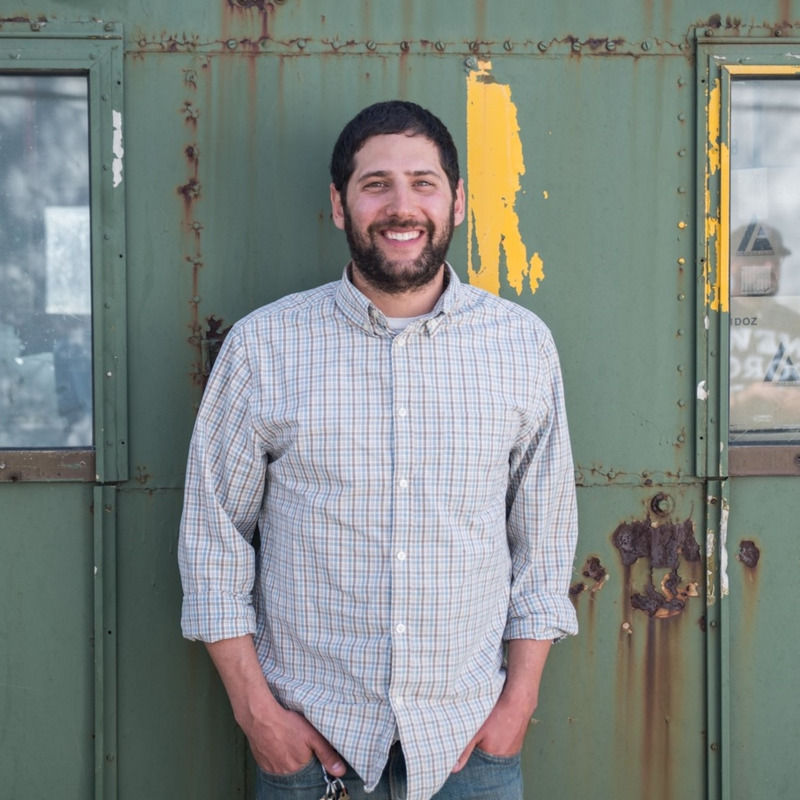 Tyler DuBois: For us, not only does it provide a means of living, but we got to turn something we were passionate about into something that is not only a form of expression for us, but something that other people enjoy—and, it allows us to be a part of this vibrant, young food scene. An ever-changing lineup of inventive flavors—plus your favorite standby's. Fresh, all-natural, and handmade in Colorado. So good, they should be sold in dark alleys. HOW DID PICKLING BECOME A HOBBY? Justin: The stories are hard to separate, but in my case, I grew up in a family that loved food, I've always loved making things from scratch and kitchen projects that I can spend a whole day on. I like understanding the process of how things are made. I love pickles, and didn't love the pickles I could get in the store. I tried making some without a shred of thought that it would turn into something. Tyler: My first pickle experience was with my grandparents—they had an incredible garden. Whenever we would go out to visit, my grandmother would make pickles, and I'd make them with her. The process of extending the life of vegetables was really cool, and that interest started in my childhood. Later, when I was in the culinary world, I had a big garden and my wife grew pickling cucumbers. I messed around, and it just snowballed. DID YOU HAVE A LOT OF INITIAL SUPPORT? Justin: The first place that ever carried our product was Marczyk's—they were a huge supporter of our company in the early days. Tyler worked there, and it was really hard to get product on the shelves without a track record. They ended up just really liking our pickles. They didn't even know how much they'd be paying us, they just kept asking us when they'd be ready. It was a great start. hOW HAS THE PROCESS BEEN REFINED, IF AT ALL? Justin: We're definitely growing, but we've been very committed to incremental and organic growth. There are a million ways to grow a business, but that's the way that works best for us. Neither one of us have ever owned a business before—let alone a manufacturing operation—so it's a matter of taking it step by step. We knew going into this that our product is only scaleable up to a certain point—it's not designed to be in every grocery store across the country, and to be perfectly honest, neither of us are interested in running a company that big anyways. Being a smaller company allows us to take precautions that other larger companies might not be able to take—that's why we think we've got the best product out there—and we love having personal relationships with every account that sells Real Dill. Tyler: We've been fortunate in sharing the mindset that we want the momentum of what we're doing to drive this. We're not just pushing it forward and hoping that it works out. WHAT ELSE DOES THAT MINDSET ALLOW YOU? Justin: It's easy to get caught up in the other ways people tell you to develop or grow your businesses. We've been committed from the beginning to paving our own path—we're not going to be reckless about it, but just because other business do it one way, it doesn't mean we have to do it. We're comfortable going off on a limb if that's what we feel we want to do. Tyler: It also allows us to do more of what we want product-wise. If we want to make something that no one else has made that may or may not be a great selling product but that we think is cool, we can do that because we can make it once and never make it again if it doesn't work. If we were tied to pushing product out, our entire production would be based on what sells. It gives us the freedom to maintain the creative, fun element of this business.